Motorbike riders know that they face unique challenges on the road, as few modes of transportation leave you vulnerable to so much wind, cold and other weather. That's why it's crucial, especially for Raynaud's sufferers, to keep hands warm, dry, protected, and ready to react at a moment's notice. The 30Seven Heated Motorbike Gloves were designed specifically for this purpose, with palm to fingertip warming, shock-absorbing materials, wind-proofing and a waterproof membrane. 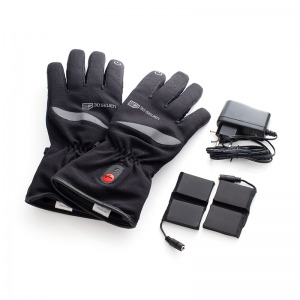 On the road, you need your hands to be warm, dry and comfortable so that they're prepared for anything. 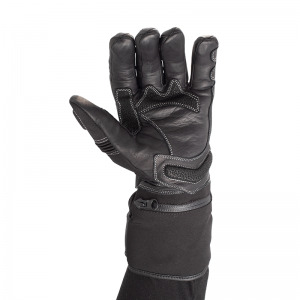 These gloves are made with durable materials that are both wind-blocking with a waterproof membrane, ensuring that cold, wet hands are a thing of the past. 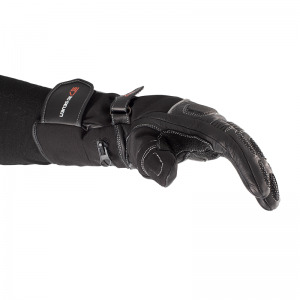 Extra-long with Velcro at the wrist to keep all weather out, these heated gloves are finished with high-quality leather and shock-absorbent padding, ensuring full protection and excellent dexterity for your fingers. Ultra-fine high-tech heating wires are invisibly integrated into the heating element, providing heat for up to eight hours at a time. These wires allow the heat to spread evenly between the back of your hands, fingers and fingertips, so you'll always be heated where you need it most. 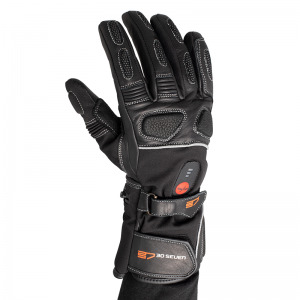 Made with hardwearing materials that will stand up to any challenge you throw at them, the 30Seven Heated Motorbike Gloves will provide you with protection and comfort for years to come. 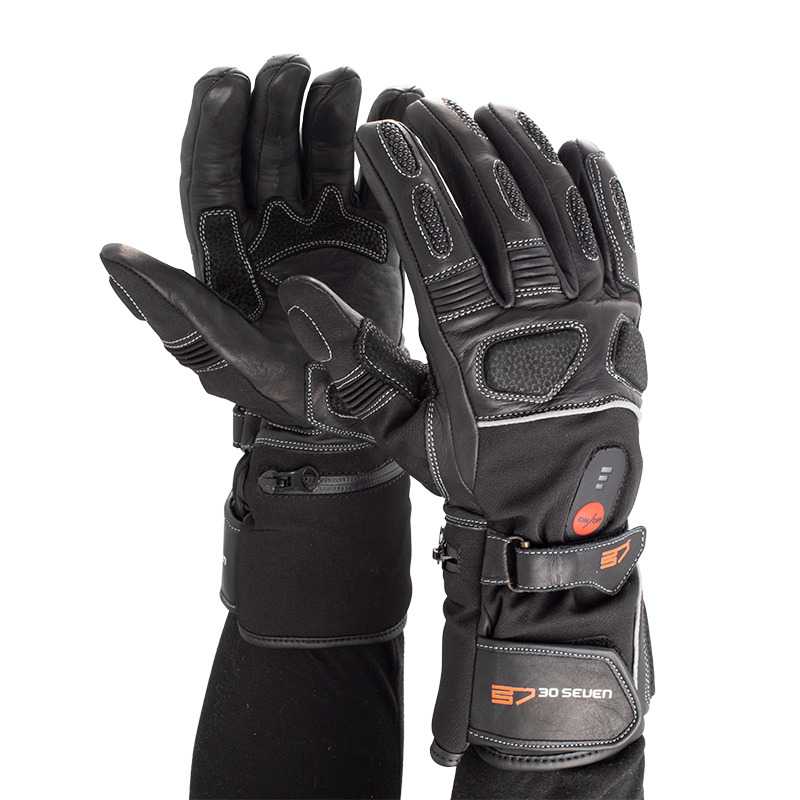 Featuring a soft inner-lining, leather for comfort and dexterity, ergonomic fit and shock-absorbing palm padding, these gloves will redefine what you expect from a high-performance motorcycle garment. 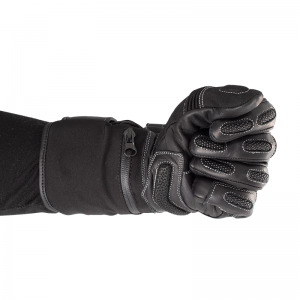 These gloves are available in five sizes. To determine which size is right for you, measure around the widest part of your palm.